A love affair with Opiuo‘s music is only going to lead to eternal happiness; that much I can say with confidence. Oscar Davey-Wraight – the mind behind the music – has defied genre stereotypes over his decade-plus career, by constantly upping his game and delivering fresh songs with crisper production and more funk than you can handle. 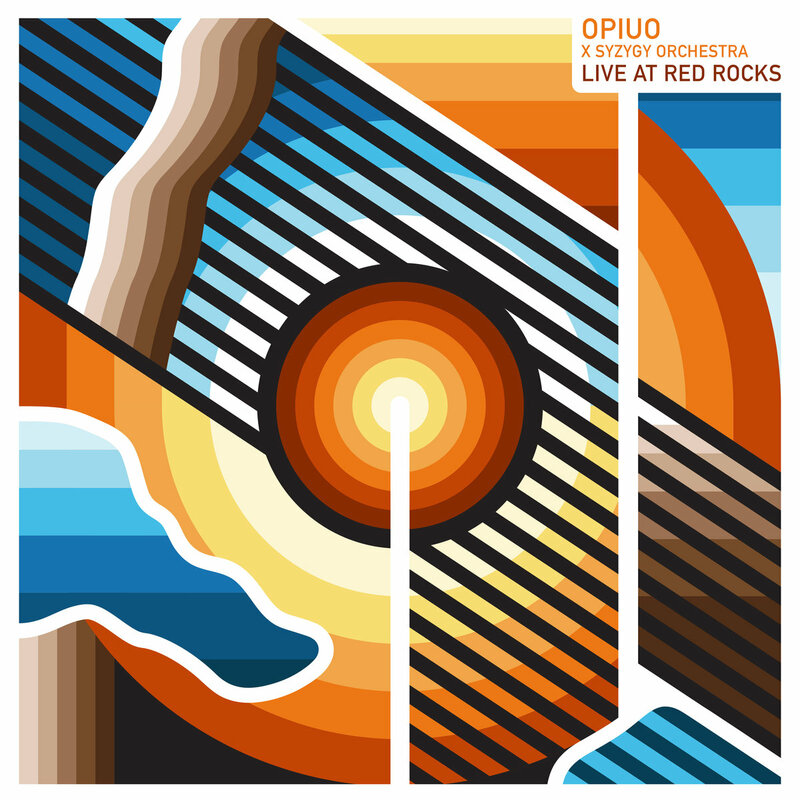 Last year he offered two releases to his fans, Syzygy 01 – the first in a series of EP’s – and his first live album, Opiuo x Syzygy Orchestra Live At Red Rocks. The latter was one of my musical highlights of 2018, Opiuo managing to combine his delicious blend of glitch and funk with a live orchestra. The result is an album and experience on par with anything you’ll experience from the musical greats of the electronica scene. I was thrilled to get the chance to send some questions Oscar’s way, and now I’m writing this I’m certain I could’ve asked so many more too. I know from his social media updates that for as long as I’ve followed him, he’s been jam-packed with his music, either playing a string of live shows or releasing a new track on his SoundCloud (seriously, try scrolling to the bottom of it without getting repetitive strain injury). The first question on the table was – where in the world was he? Putting myself in his shoes for a minute, I thought to myself how I’d feel having dropped my thirteenth release, and having played the legendary Red Rocks arena. Asking which was the highlight was a no brainer. Syzygy 01 was a smorgasbord of styles, with sounds from his early releases such as the more jarring glitch-hop beats used, alongside the jazzier influences from his last two studio albums. Syzygy 01 was the first of a series of EP’s (much like his Butternut Slap EPs); thusly, we were keen to find out more about the upcoming release, and where the focus is for him. Now, before you go any further, please start playing the video above and experience what I consider to be one of the greatest electronic shows ever. Being on the opposite side of the world, it was interesting to hear if these versions will be played when Opiuo does solo tours, and if they would form a key part of his sound in the future. My personal journey through electronic music to discovering Opiuo is a story in itself. We wanted to find out how he ended up settling with his signature sound, and where he plans to take it next. We usually question artists about their gear, and electronic artists should be no different! Starting with DAWs, research tells us that Opiuo is an Ableton man, and we wanted to find out why, and what plugins he might use to bring the noise. Looking at his live shows, Opiuo has one hell of a set-up, and he’s always moving between each one. So getting onto gear, we asked what he uses for these shows and what is on his shopping list. As mentioned, Oscar is usually seen at a festival in the Pacific, or in the US. We asked which one he was most looking forward to playing this time. We’ve talked about music, we’ve talked about gear. Yet everyone needs a focus in their life. We asked if there was an endpoint for his music, or if he would keep looking to evolve it. Everything Is Noise would like to say a huge thanks to Oscar for answering our questions, and we’d love to encourage our readers to check out his latest news and tour dates on Facebook. Swing on down to his Bandcamp too, where you can find a beat for any occasion. Next PostMoon Tooth - "Crux"